The cap is 1-6 cm, conical to convex, tan brown, hygrophanous, margin striate when moist, and often has a broad umbo. It bruises bluish where damaged. The cap is 1%u20136 cm in diameter, conical to convex, tan brown, hygrophanous, margin striate when moist, uplifting in age, and often with a slight umbo. It bruises bluish where damaged. The gills are crowded, sometimes forking, slightly mottled, cream color when young, violet brown in age, with adnate to adnexed and sometimes subdecurrent attachment. The stipe is 2.5 to 6.5 cm long, .2 to .3 cm thick, white to gray, finely striate, and equal to slightly enlarged near the base. It has a well-developed partial veil which leaves a persistent membranous annulus on the upper stem. It bruises blue where damaged. 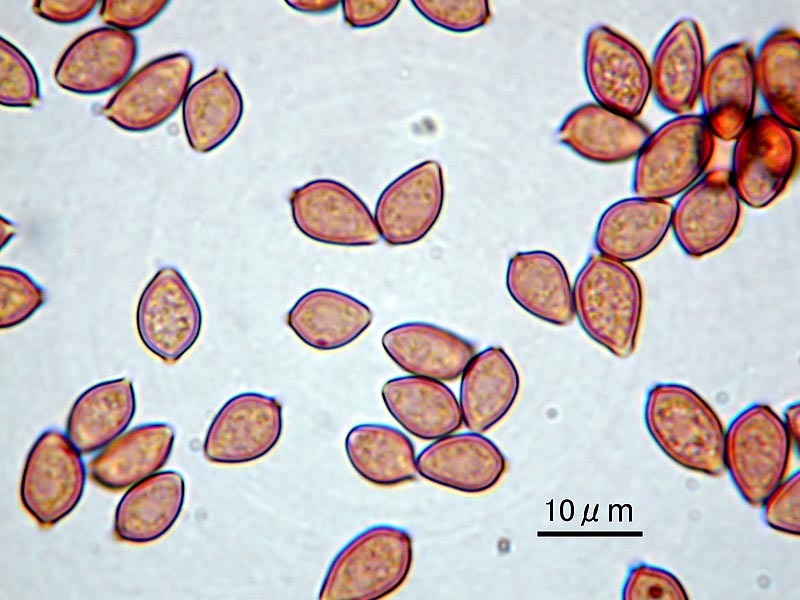 The spores are dark violet brown, rhomboid to subrhomboid to subellipsoid, and 7.5-12 x 6.5-8.5 um . Found growing in wood chips, piles of leaves, and woody debris in urban areas and along trails and roads in deciduous forests and gardens. It is occasionally found in dung. In southern Japan and subtropical Java. This species or a very similar one has also been reported from the Bay Area of California. 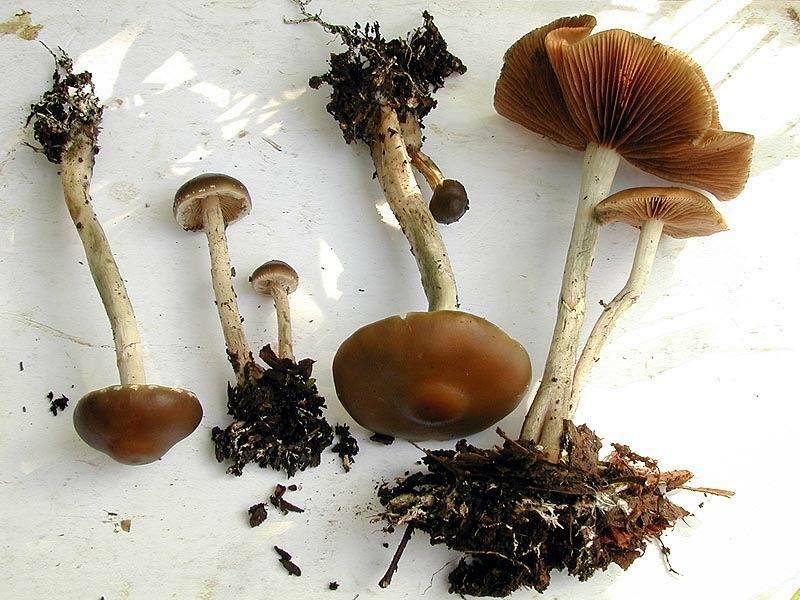 Psilocybe subaeruginascens grows in gregariously and in cespitose clusters. 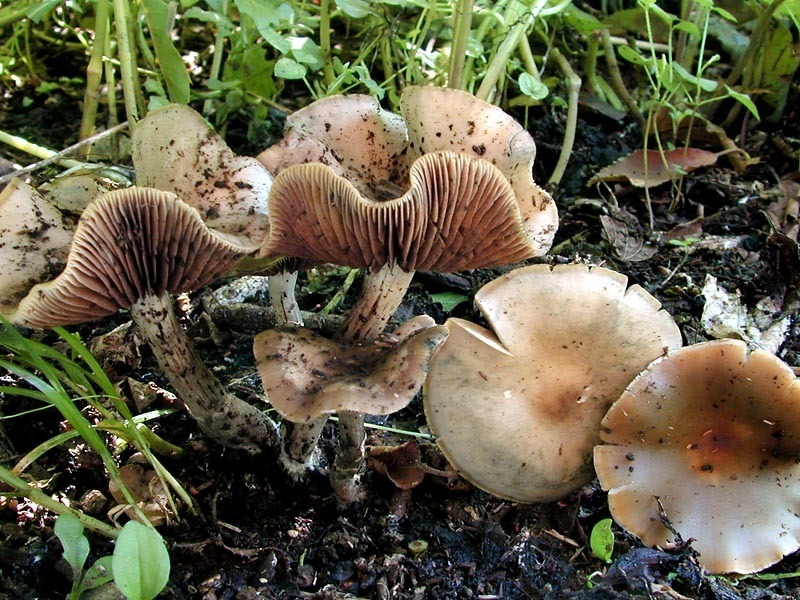 This mushroom is closely related to Psilocybe subfimetaria and Psilocybe stuntzii.